So, you have found the Carmel, IN home of your dreams. The contract is signed and the mortgage is approved. The next important step is the closing! Here are some tips for ensuring your closing goes smoothly according to plan. A week before closing make sure to talk to the people representing you. Make sure that they have all the info that they need from you. Don’t worry about bothering your loan officer or Carmel, IN real estate agent to ensure everyone is on the same page. Ask whether you will need a certified check, personal check, or if they need it wired. 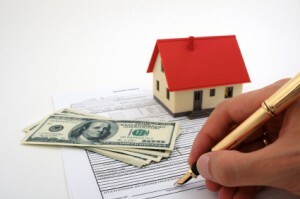 Depending on the amount of your down-payment either of these options are preferred. Review the documents in advance. Another great way to be prepared for your Carmel, IN home closing is to review the documents in advance. You can ask the lender to provide them to you, many will do so automatically. By taking a look at the documents, you’ll be prepared with any questions you need to ask, prior to closing. Don’t assume that all of the information is correct either. Anticipate human error and double check everything. A smooth closing may take less than 30 minutes, but, you won’t know for sure until it’s done. There may be delays, especially if it is the end of the month. Don’t plan on doing the closing during your lunch break. Take the day off to ensure you have plenty of time and are not in a rush to get back to work. If you are still searching for that perfect Carmel, IN home, let the local experts help you out. Buying a home is an exciting and complex adventure. It can also be a very time-consuming and costly one if you’re not familiar with all aspects of the process. So, taking the time to learn about the process and your options is critical to making the best informed choices in order to achieve your own particular goals. Our specialty is working closing with our clients as consultants (not just “agents”) to provide the information and education critical to make those informed choices—at every step throughout the process. Our comprehensive, high-quality services can save you time and money, as well as make the experience more enjoyable and less stressful. Please feel free to contact a Carmel, IN real estate agent, we look forward to hearing from you soon!